Having welcomed advancement in terms of home decoration, lighting now plays an important role as a quantum of home beauty. It doesn’t just glow up the home in different shades of color but also adds some wonderful rhyme to the overall appeal of a home. However, there are tons of lighting accessories out there to give your home the kind of prestige that befits it. Most of us are familiar with the term chandelier. This lighting accessory is usually attached to the ceiling for a proper view of its scintillating appeal. Chandeliers come in different sizes and patterns. Some can take as many as 10 bulbs depending on the size and build. 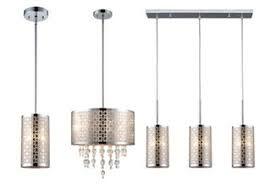 Chandeliers is one of the most preferred lighting accessory by almost every home. these are type of light fixtures without a ground base that area fixed-to a wall in-such a way-that it only uses the-wall for support, & the light is usually directed upwards in most cases. They also add a flamboyant ambience to the appeal. Flush mounts usually come in circular shapes. Unlike chandeliers and every other lighting accessory, the opening end of the flush mount is usually fixed to the ceiling, covering a number of bulbs. In most cases, flush mounts take about three to five bulbs. Pendants usually have a single but strong metal string that holds them to the ceiling, creating an opening for the bulb on the inside. Having inserted the bulb into the pendant, there isn’t a need for covering as the bulb is never shrouded and can be easily seen. Lamps play different roles, depending on where it is mounted in the home. It can be found in the living room, in the study and also in the bedroom. Lamps are must have lighting accessory for a home. These are the most important and independent lighting component. They are needed in every other lighting accessories like the chandeliers, the pendants,the lamps, the flush mounts and even the landscape. The landscape is built in form of a shield for the light bulbs/LED. They usually do not have covered ends on the bulb and for this reason they tend to place focus on whatever direction or object towards which they are oriented. These are beautifully crafted external shields for bulbs/LED, they slightly dim the brightness of the bulb while offering a very warm appeal to the surrounding. Switches are as familiar and important as the bulbs/LED. Modern switches give a luxurious and smooth aluminum feel. This lighting store offers all of the above accessories to give your home an ineffable ambience from its variety of well crafted chandeliers to beautiful switches that every home should not be devoid of. Endeavour to purchase from this lighting store and install one of these accessories in your home to put your home on a totally different level.